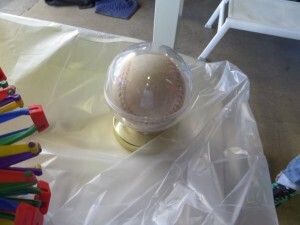 Description: Baseball/softball souvenir case. Can be opened. Current baseball is unmarked.